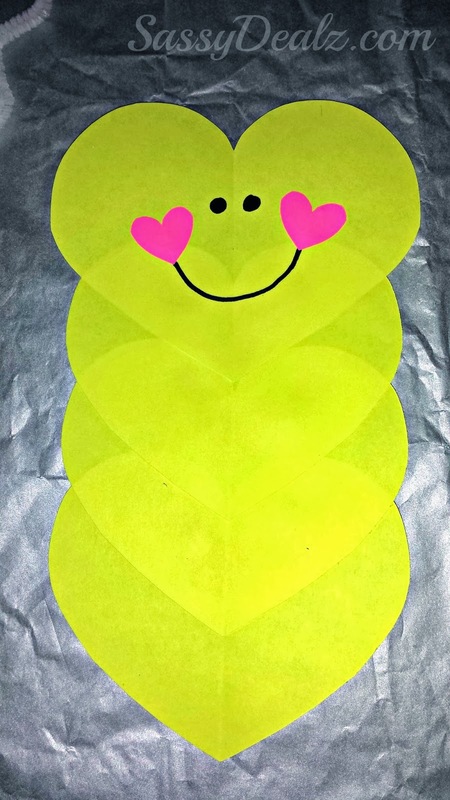 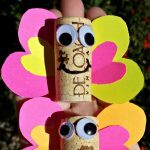 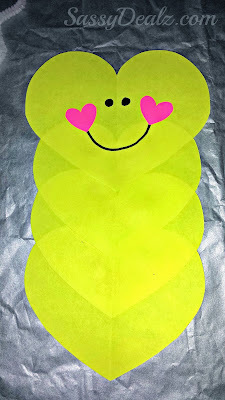 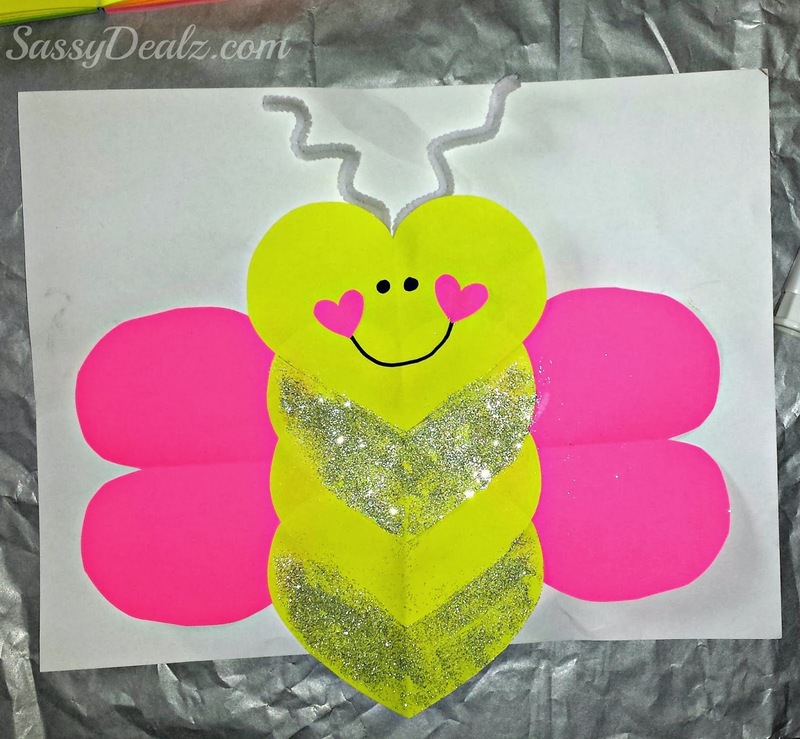 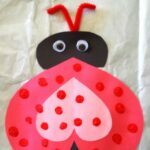 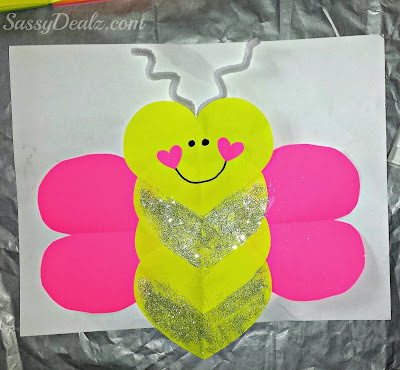 To make this adorable love bug craft you will need yellow/pink paper, a black marker, scissors, glue, and glitter! 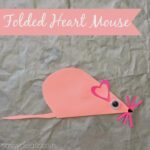 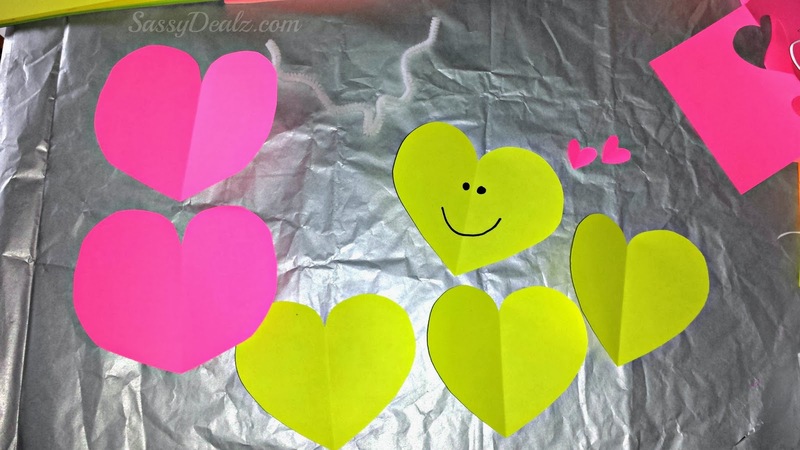 Start by cutting out four hearts from the yellow paper and glue them together. 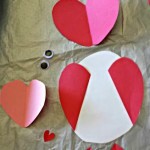 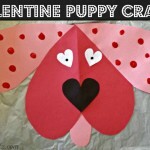 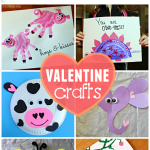 Draw a face on the top heart and glue on two small pink hearts for the mouth. 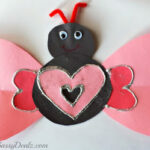 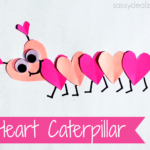 Glue the two big pink hearts for the butterfly’s wings and add pipe cleaners for the antennas. 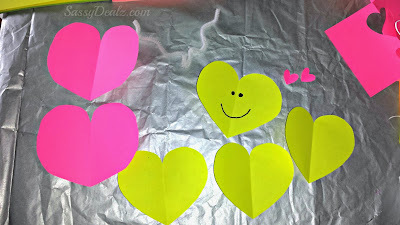 To top it off add glitter on two of the hearts! 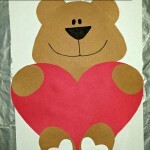 Turned out so cute for Valentine’s Day!